Made a total mess of the dining room table. The paper trimmer saw a lot of action, the Xyron adhesive cartridge got used up, glue sticks (yes, plural) came to the rescue, and three different types of eyelets and eyelet setters almost got launched across the room in frustration. 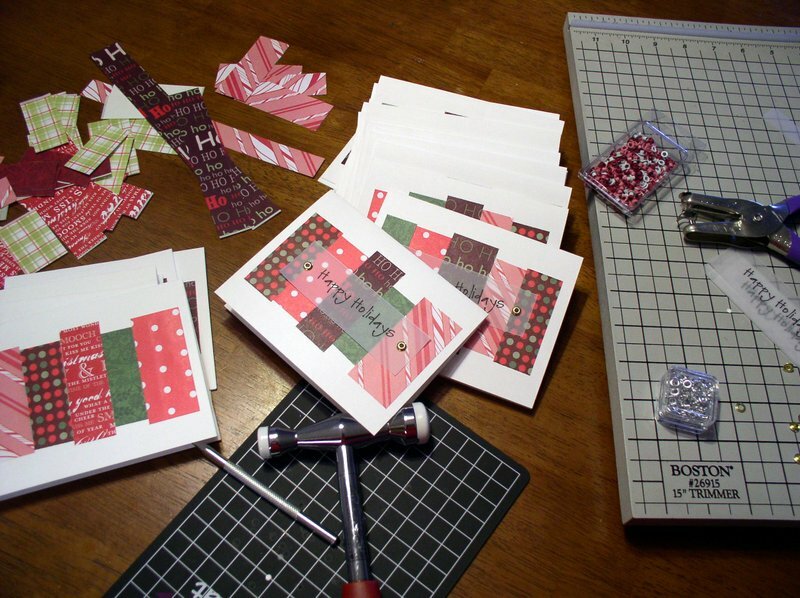 But I finally finished some of the Christmas cards we'll I'll be mailing out soon. Soon! They are sooo pretty! I laughed about the eyelet setters almost getting launched. My husband usually sneaks out of the room and hides when things start flying. 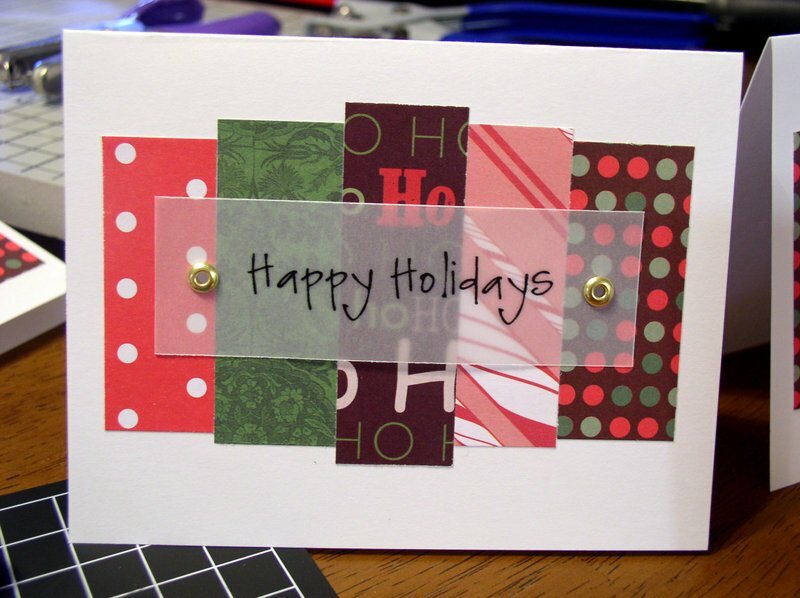 WONDERFUL cards, Michelle! And I love the one you sent me, too. Now, I want to make cards! Oh my goodness! Those cards are fantastic!